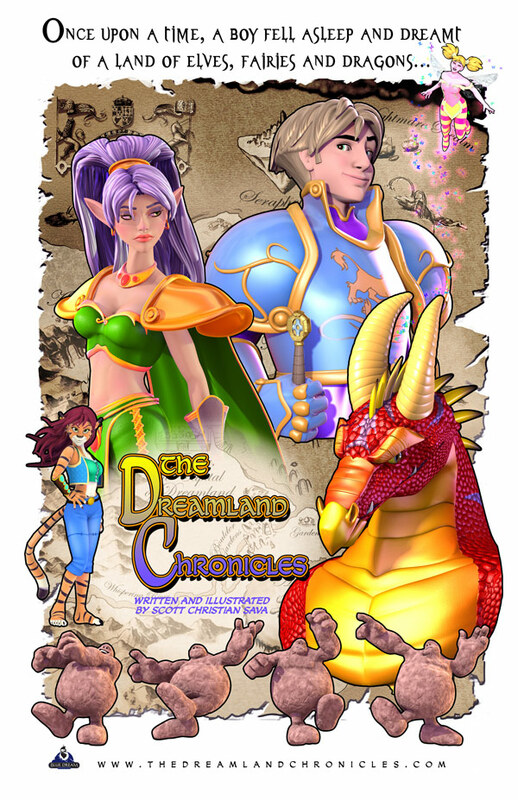 The Dreamland Chronicles » Welcome to the Dreamland Chronicles! Welcome to the Dreamland Chronicles! Please feel free to comment at any point! And Catgirls and Rock Giants! Don’t forget about them! Bukan Pembicara Internet Marketing Yang Ngaku Paling Hebat. I really love the way this comic is drawn. Scott’s put a lot of work into the backgrounds in the “real world.” You’ll see posters and such in the bedrooms and dorm room. If you see somthing, and you know what it is, post it! I remember first stumbling upon this series. I only clicked the link because it had an Elf on it. Now I hold my breath in anticipation of each new strip. It really is such good work! I really hate the way this comic is drawn. so far so good, i have no problem on how the comic is drawn, it was done pretty well and more effort on 3d. Welcome to the Dreamland Chronicles is a good story to rad I think that this is a must like story for the children they story has so good that it can be called as one of the best that the children can get to read. 1200 pages and counting eh? that’s nothing compared to Phil Likes Taco’s 3000 and counting. What if there’s a place in the nightmare realm that allows a person to visit here when asleep, like dreamland in reverse? is there ever a time when the dream landers sleep? The post was professionally written and I feel like the author has extensive knowledge in this subject. Inspiring, as well. Thanks for sharing such inspiring experience with us. Great blog, congrats! How can I purchase used Books Four and beyond? I have found the first three with black background front covers. I can’t find Book Four. My daughter loves the graphics and characters. She’s had a hard Hard couple of years and I’m trying to surprise her. I can not afford much. I think your best bet is Amazon or Ebay. Oh jeez. That was done 10 years ago when I was doing the illustration. Tracy came on board last year to finish up. If/when she starts redoing the series all in her own art… we’ll redo this poster for sure. Alright, Time to buckle up and dig in! For those that don’t know Scott finished this story, on Sept 7th 2017. So today, I start my re-read of the whole series, all 2151 pages of it! you should reprint all the books when you print the final books. Would be a great way to pay for redrawing the entire series. If you are just starting The Dreamland Chronicles then you have a long and glorious read ahead of you. A most excellent adventure! Thank you. It has been a fun time in Dreamland. I just found a photo of a woman who is now my real life Nicole. https://timedotcom.files.wordpress.com/2017/12/person-of-year-2017-time-magazine-cover1.jpg?w=1000&quality=95 In the front. It has been a fun time in Dreamland!